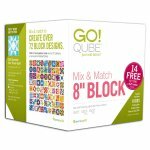 Let's get those Qubes out and make a set of quilt blocks each month, using the patterns in our Eleanor Burns Book and from the downloadable book, "72 Block Patterns", from the Accuquilt website. 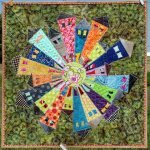 Originally "Modern Quilt Blocks", this class became "Urbanologie" and then "Patches of Blue. We now go full swing, back to "Modern Quilt Blocks". This class has always featured a "modern twist" on quilt blocks and techniques, encouraging participants to stretch their creativity while learning and perfecting skills.